If you own a landscaping business chances are that you need custom landscaping uniforms for your staff to wear. T-shirts are an excellent choice because they are lightweight and much cooler to work in during the hot summer months. Check out all of our cool landscaping apparel that you can customize with no minimums! Plus, we have original landscaping art that nobody else has! Looking for a fun way to get creative with your everyday uniforms? Design your own! 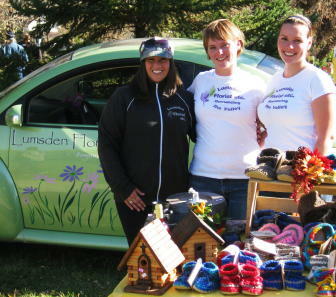 This week’s CG Fan Spotlight showcases the designs of Lumsden Florist in Canada. Below is what Rachel had to say! Rachel designed these Junior Fit Basic Tees and this Guys Fleece Track Jacket. But wait! Customized Girl doesn’t just stop at uniforms! Check out our custom mousepads and coffee mugs that are perfect for sporting your business’s logo! Hi CG Fans! This week we wanted to give a special shout out to Miriam who customized tees and canvas tote bags for her consulting firm in Pennsylvania. Below is Miriam’s story! Here is Miriam’s design, and feel free to check out her website! Miriam customized our Color Canvas Tote and our Junior Fit Sheer Longer Crew Neck Tee. Lookin’ good Equilibrium! Customized Girl loves to make one of a kind t-shirts, tanks and hoodies, but we don’t stop there! Check out these bags you gotta snag! Hi CG Fans! Today we wanted to give a special shout out to one of our great customers, Divine. 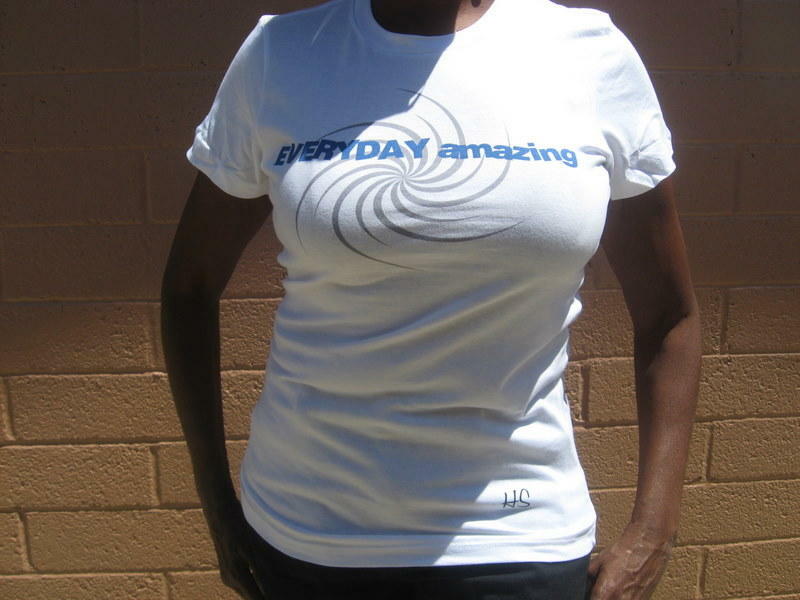 Divine customized a t-shirt line geared towards the empowerment of women. Below is information from her website that better explains her mission. “Divine Essence is an outlet for artistic expression. A company that was created over time beginning with poetry performances at local café and clubs, poetry workshops and poetry under the stars events that are created to gather up the community for an evening of poetry, music, GREAT company and plenty of opportunity to network. 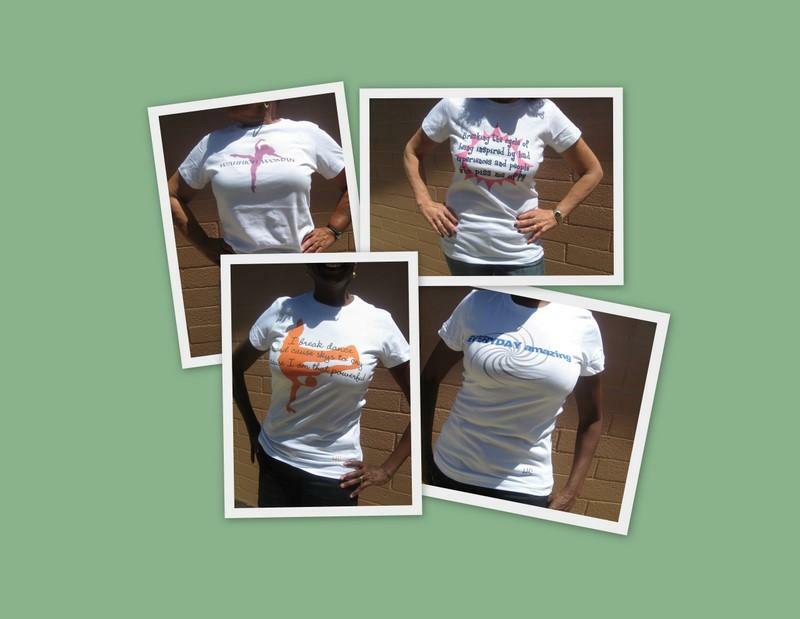 “Humble Sol is a T-SHIRT line created to invigorate ALL WOMEN. Divine does this by displaying pieces of her poetry and positive affirmations on the front of the shirts to REMIND ALL women that she is SOMETHING BEAUTIFUL. The name HUMBLE SOL was actually given to her by her oldest son ELLOHEIM. After sharing with him a brief description of what the t-shirt line was about and who it was created to inspire, while driving in the car one day he said “What about HUMBLE SOL”?. Humble Sol is more than a T-shirt, it’s a statement and Divine is determined to make a difference in the minds and hearts of our women. The WOMAN is her child’s FIRST teacher, after all. If you have an idea that is worth sharing, designing custom apparel is a great way to reach others. Customized Girl has an array of products that are perfect for promoting your latest idea! Want to make a last impression on your customers? Customizing t-shirts and apparel for your business is a great way to stand out, and can turn an ordinary event into one they will remember forever. Jen’s shirt read “Smile for the camera,” while assistants Angie and Rachel both wore t-shirts that said “Smile for a brownie.” The idea was that the children would have their picture taken in exchange for a brownie. The shirts were used to give unity to their team, and helped the participants easily identify them. It looks like the even turned out to be a huge success! You can even check out the winners! Jen and her team chose to customize Junior Fit Tees, but here at Customized Girl, we have tons of options! You can even upload your own art! Check us out and start customizing apparel for your business’s next event! OH! And don’t forget to take a peak at Jen’s beautiful site! 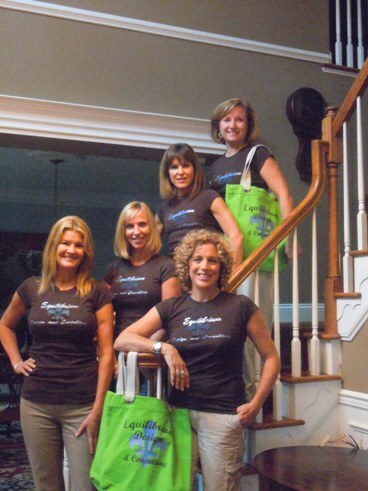 Customizing shirts for your business or event is a great way to get noticed. This week’s CG Fan Spotlight, focuses on a business that did just that. 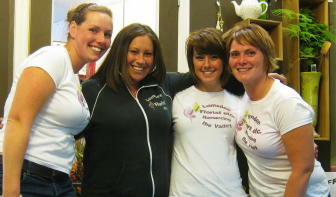 TruSynergy, an event planning company, used Customized Girl to customize one of a kind tees. Here is their story! 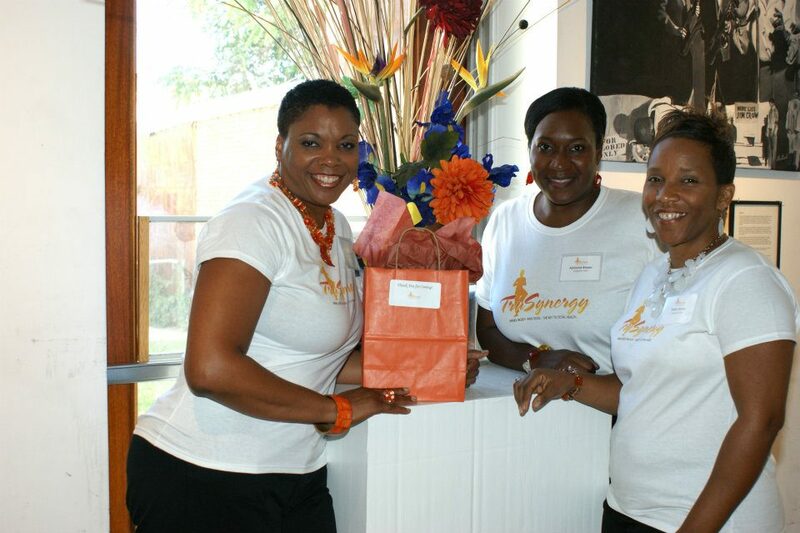 TruSynergy is an event planning company that focuses on health and wellness. Their events can either take place in the home or in a corporate setting. Featured services can include massage therapy, facials, empowerment workshops and fitness sessions – depending on the request of the client. 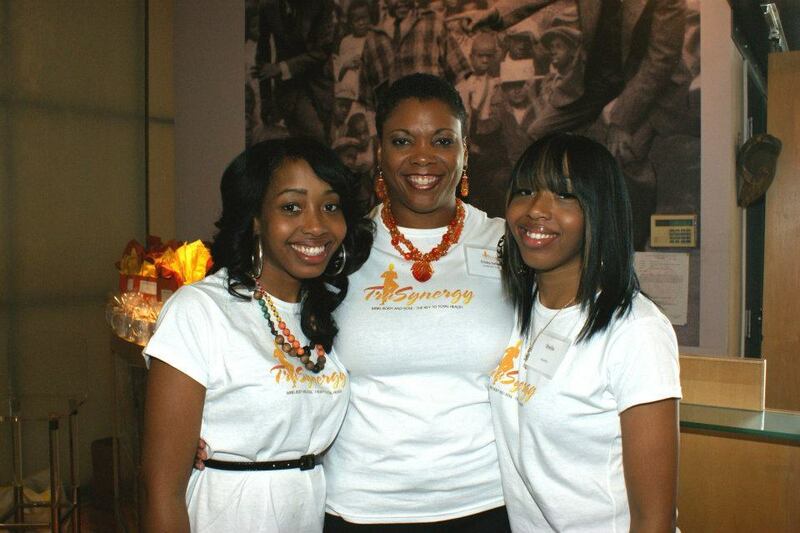 Their custom shirts were used at their launch event last September in Baltimore, MD. The event was held at the Eubie Blake National Jazz Institute and Cultural Center. It was a “ladies only” event where their guests enjoyed seated massages, facials, a workshop, catered lunch and a jewelry vendor. This is a great way to make an affordable, lasting impression on your customers. Our art gallery has a variety of designs, or you can even upload your own art! So visit Customized Girl and design your custom shirts today! Need Help Promoting a Small Business? Have a small business and need some help promoting it? What about a customizable fade-resistant button-up long sleeve oxford? It’s easy to pack and just have on hand in case you need it, making it perfect for photographers and realtors. Oh, and did I mention it’s fade-resistant??? Darts in front and back give our best-selling top a flattering contoured fit but leaves plenty of room for movement. The design on these customizable button-ups is made with a highly durable, fade-resistant laser cut film. Not only will your design pop off the top but will virtually last forever! Read more about it or start customizing one! You can also use code CG524 to get a back print of any item for FREE up through May 30, 11:59 PM EST! You can also visit our gallery of business design templates for more ideas and options. Customizable bags, stickers, t-shirts, mugs…everything to help you promote and grow your business! We’re here to help! CG Group Shots: Tantini Tanning Bar! Our next CG group order shout-out goes to Sonya Bright, owner of Tantini Tanning Bar in Glassboro, NJ! Tantini has more of a “lounge” atmosphere, mixing Sonya’s love of martinis and sunshine to create a unique tanning salon atmosphere for her clients that is surely “intoxicating”. For her customized design, Sonya created these adorable white tees and tanks by uploading her own business logos for the front and back. How cool! The staff looks great, thanks for sending those in Sonya!